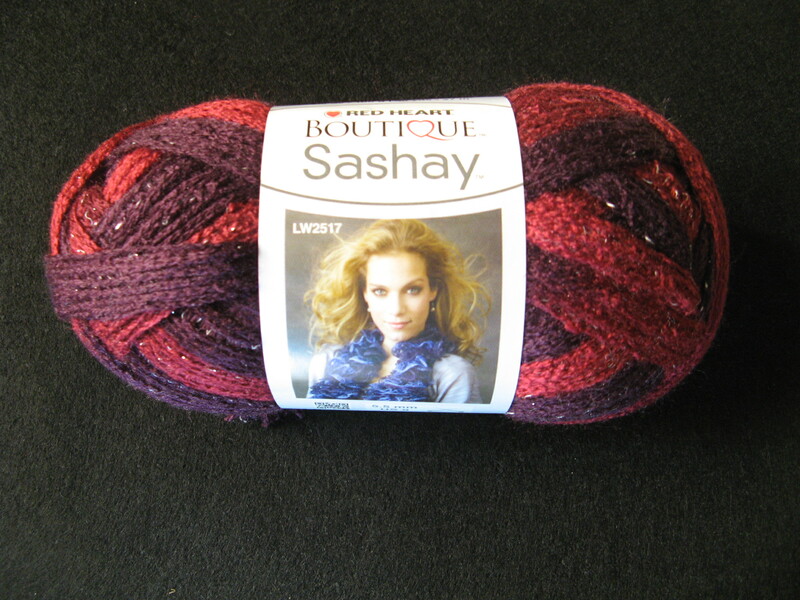 I came across Red Heart’s Boutique Sashay yarn at my local Michael’s store and thought it looked pretty cool, but, I had no idea how to use it – it’s a fishnet yarn that creates ruffles as you knit or crochet with it. So, after watching a few video tutorials and finding a pattern for a scarf I was ready to try out this new yarn. 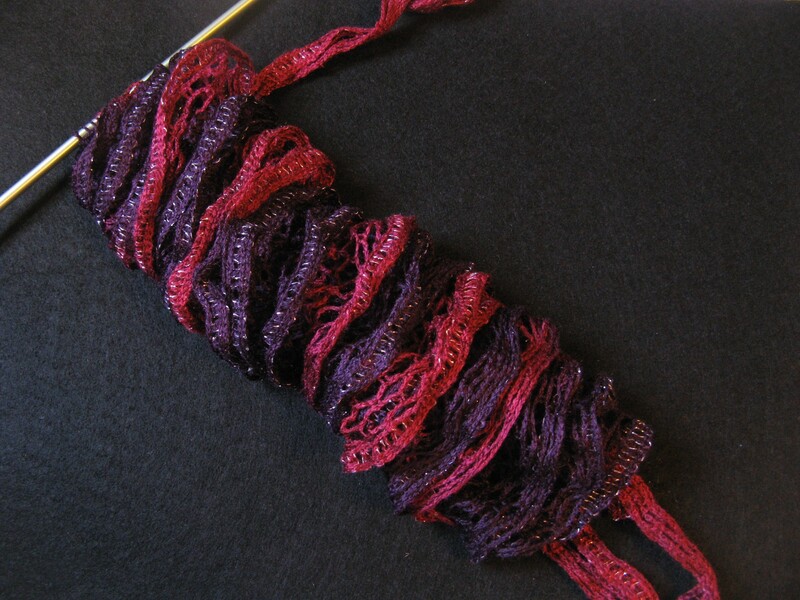 With my first attempt at making the scarf I started by casting on 10 stitches, but, as I was going along I soon realized that the scarf was going to be a bit too puffy for my liking. 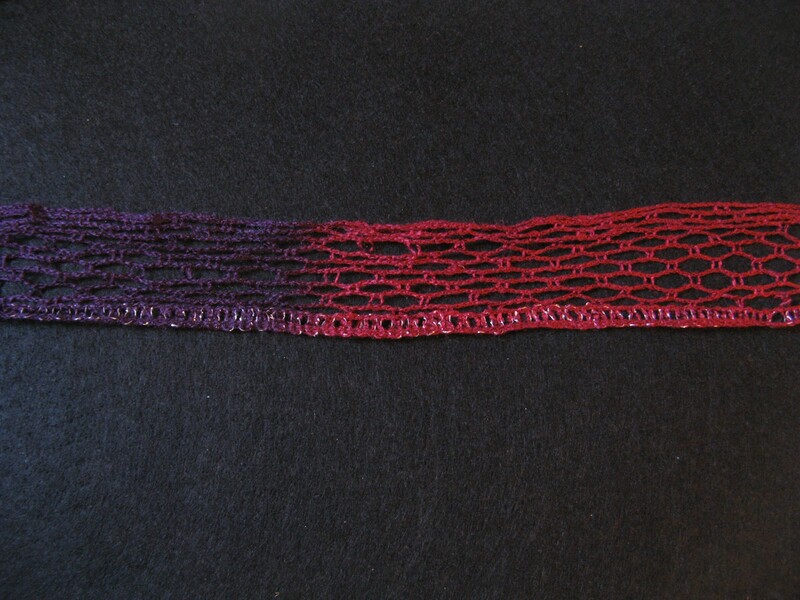 So, I started over by casting on only 8 stitches and was much happier with the final result. 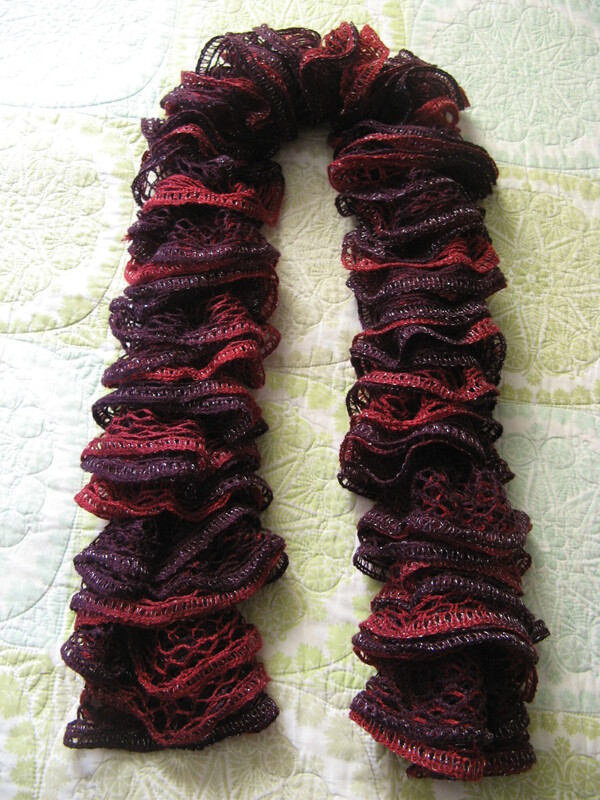 Using only one ball of yarn and knitting every row I ended up with a pretty cool looking scarf. I’ve actually made a few more in different colors after a friend saw mine and requested I make her some. 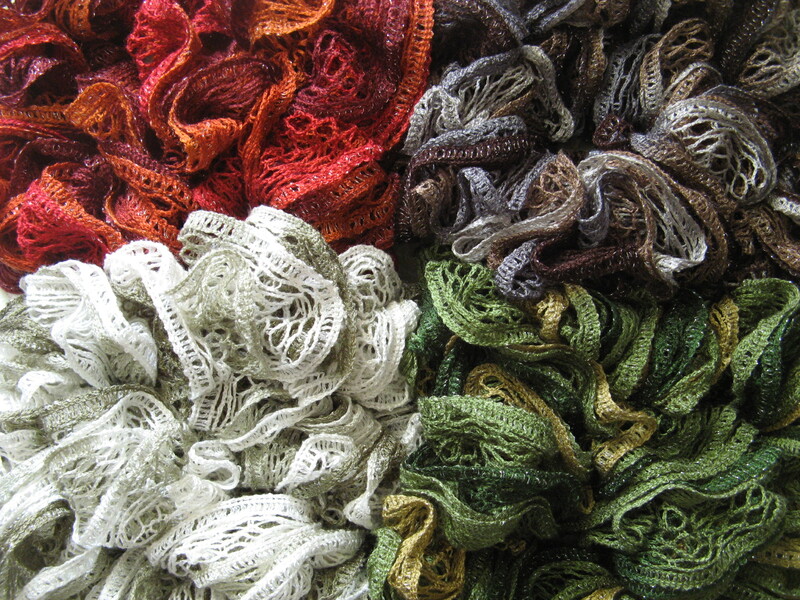 Once I realized that it was quicker and easier to work with the yarn by winding it into a ball before knitting, making these additional scarves was a piece of cake. And in turn she showed hers to someone and they requested I make some for them to give as Christmas gifts. 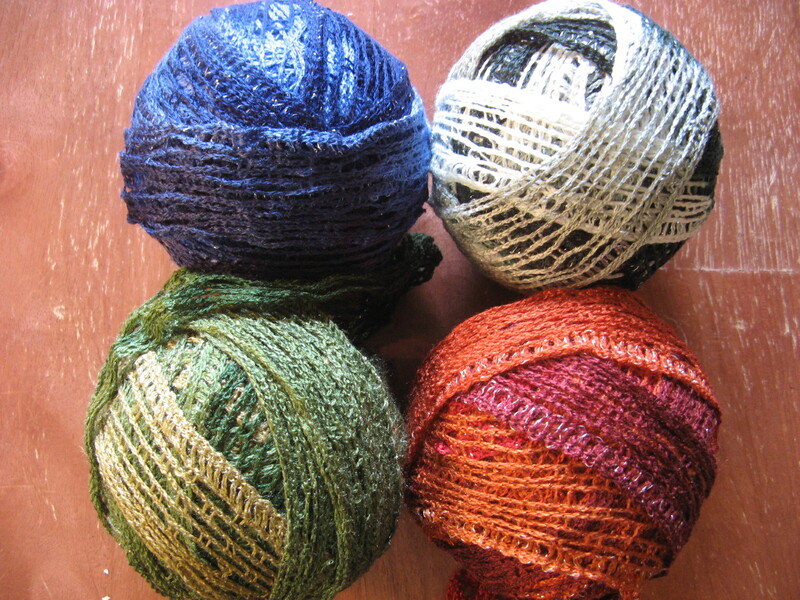 So I have a few colors all wound up and ready to be knitted. These scarves look really great and I really love the colours you chose. You should open an Etsy shop, then we can buy them. Thanks for sharing. Have a wonderful week! Thanks Liz! One of these days I’ll get my act together and open up a shop. Thanks again!